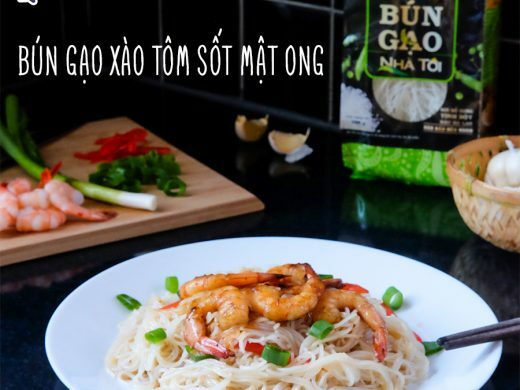 In today’s fast-paced life, consumers are always concerned about products rich in nutritions, highly convenient as well as time-saving to cook. 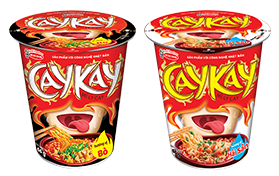 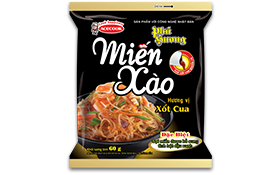 Understanding that, Acecook Vietnam has launched instant noodle, rice vermicelli, vermicelli, Vietnamese noodle soup, Southern-styled noodle under the brand name of Lasting Memory Bowl with various flavors suitable for each regions’ features. 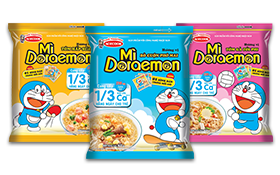 Consumers can enjoy fully delicious dish everywhere and everytime. 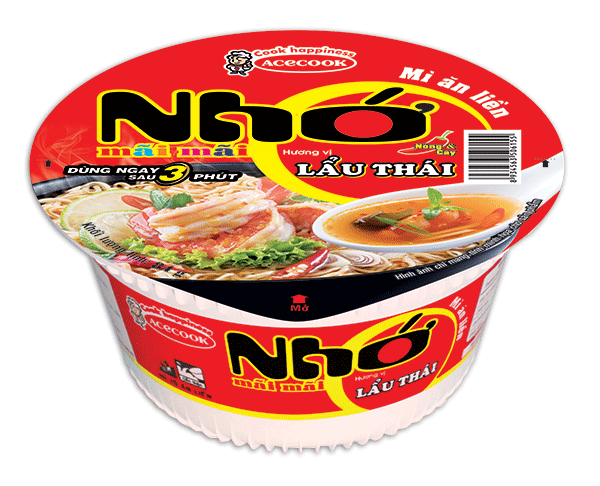 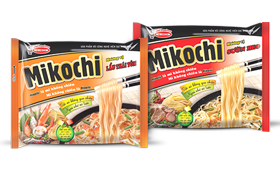 Noodle: Wheat flour, shortening (palm oil, antioxidant (BHA (320), BHT (321))), starch, salt, sugar, fish sauce, flavor enhancer (mononatri glutamat (621)), stabilizer (pentanatri triphosphat (451(i)), kali carbonat (501(i))), emulsifier (natri cacboxymethyl cellulose (466)), acid regulator (natri carbonat (500(i))), natural colorant (curcumin (100(i))), turmeric powder. 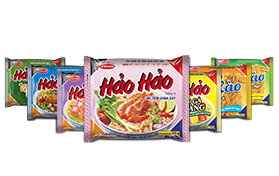 Seasoning sachets: Tamarint extract, refined oil (palm oil, antioxidant (BHA (320), BHT (321))), salt, sugar, flavor enhancer (mononatri glutamat (621), dinatri 5'-inosinat (631), dinatri 5'-guanylat (627), disodium succinate), shrimp (shrimp 63,8 %, fish, natural colorant (paprika oleoresin (160c), carmin (120))), spices (pepper, onions, citronella, galangal, ginger), dried purple onion (onion 98,2 %, natural colorant (paprika oleoresin (160c)), dried onions, dried seaweed, acid regulator (acid citric(330)), fish sauce, dried coriander, yeast extract, synthetic lemon flavors, anti-setting agent (amorphous dioxyd silic (551)), natural colorant (paprika oleoresin (160c), curcumin (100(i))), synthetic sweetener (aspartam (951)). 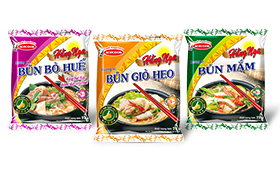 CONTENT : 4 seasoning sachets: powdered soup sachet, thicken soup sachet, oil sachet, vegetable sachet.